So I ran across a couple pics and noticed something that somehow hadn't caught my attention before. 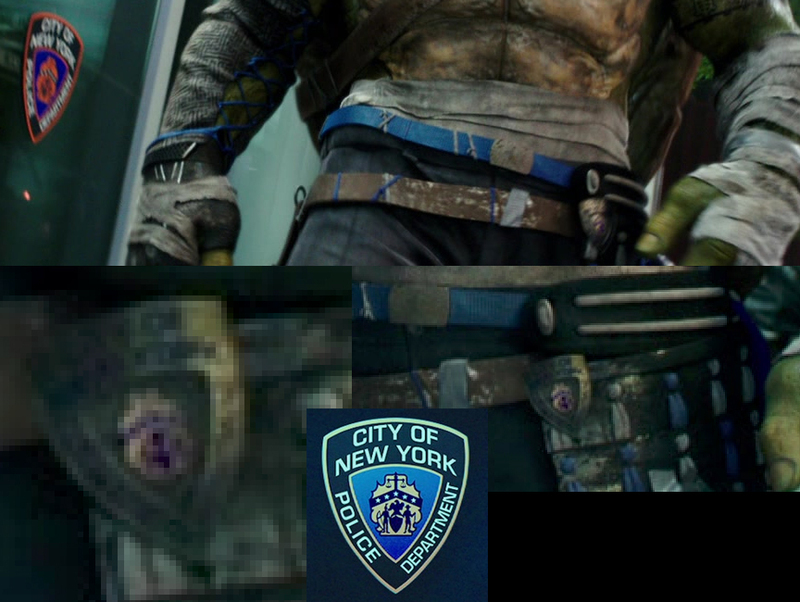 I had sorta missed Leo having his little NYC button when he no longer had it in the second film, but this evening noticed that he may in fact be wearing a new pin...or something. So long story short, I stayed up far later than I intended hunting for better images to figure out what I was seeing. Finally I found a straight on shot of it and took notice of the emblem on the window of the police station of another image I had open. I am 99% certain this boy is in fact wearing a "badge" pin of the NYPD emblem. Right?